I got behind with Thanksgiving, decorating for Christmas and football. So, I’m just finishing this quilt. It’s kinda crazy but was good practice in improv piecing with curves. 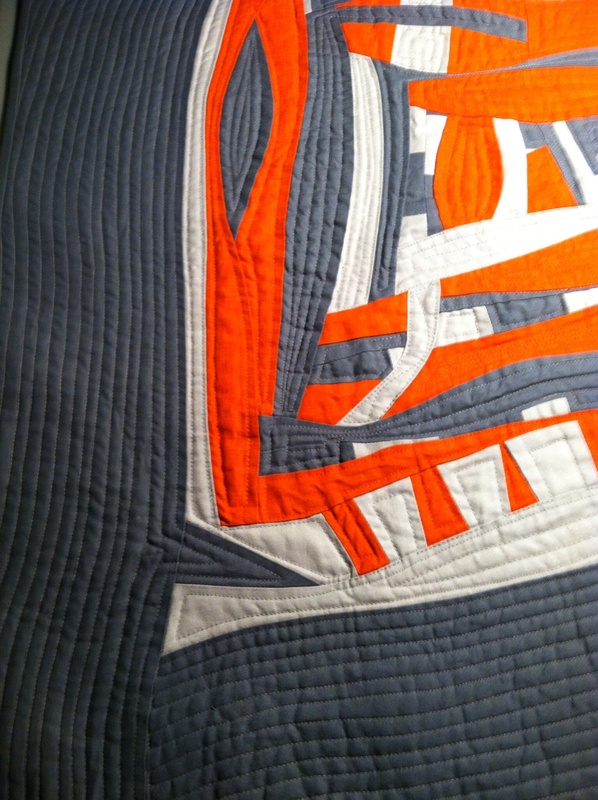 The quilt is 24″ X 26″. Here’s a close up of the most wonky part. Now, I need to get back to my grandson’s quilt. Hope to finish it by next week. 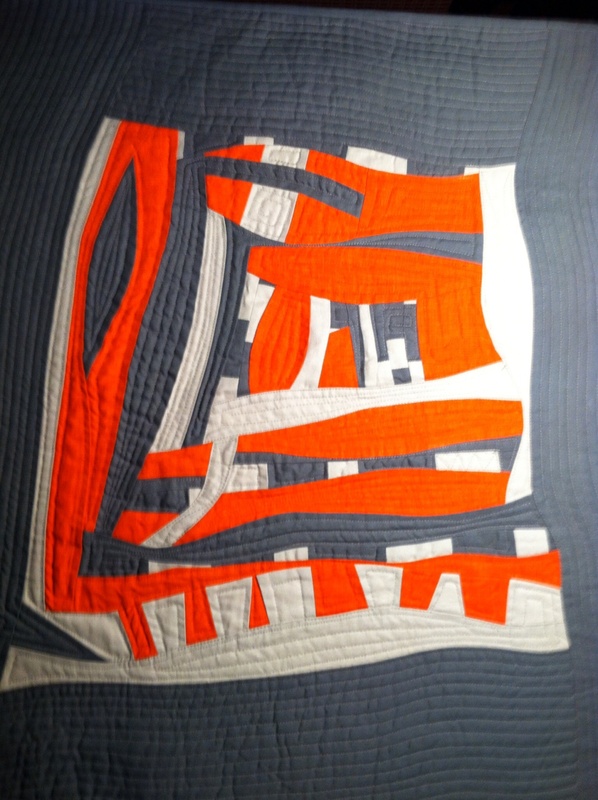 This entry was posted in Uncategorized and tagged Curved Piecing, Improv Piecing, Modern Quilt Guild, Modern Quilting. Bookmark the permalink. Actually, because it is small, it didn’t take but a day or two to make the center block. I just started in the middle and added as I went. It was fun because I didn’t have to match points.